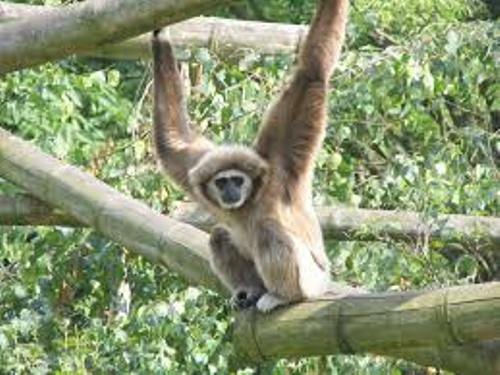 Gibbon facts present some statistics and trivia about Gibbon. This animal is a kind of apes. 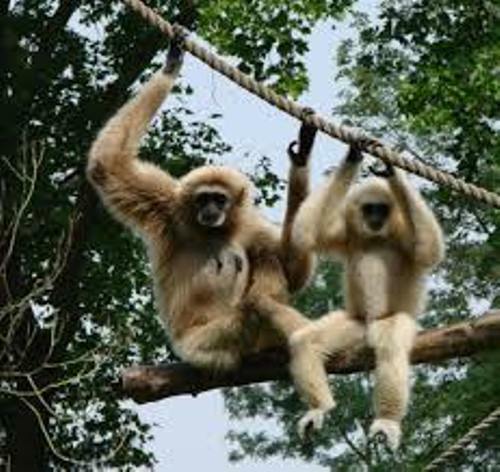 You can find out gibbon living in many countries such as Indonesia, Borneo and many more. There are many species of gibbons too. If you want to know about these animals in detail, let’s see the following information. There are several species of gibbons. The scientists identify different gibbon species. Those are the white handed, pleated, hoolock and siamang gibbons. Let’s define gibbon. As I have stated before, this animal is a kind of apes. It has slender and small body. This arboreal ape has no tail. The arms are very long. It likes to live in the forest and living swinging from the branches to branches of trees. All gibbons are included in the family of Hylobatidae. They can be seen in Borneo, Sumatra and Java. 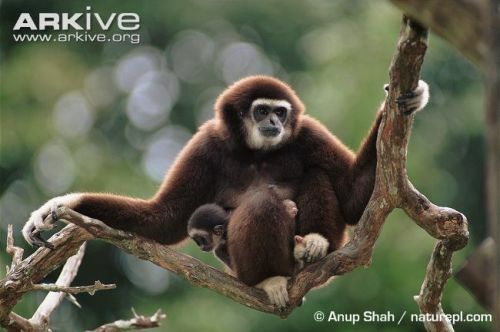 Most gibbons are native to the land of East Indies and south Asia. 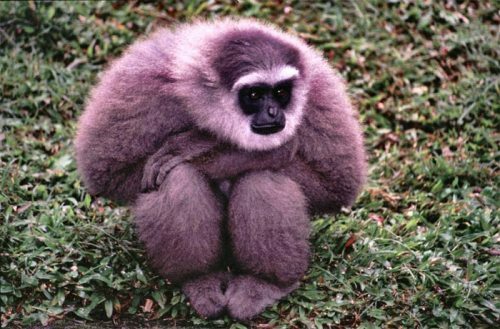 Gibbon is included in apes. This animal has a close relationship with other apes such as orangutans, gorillas, Chimpanzees and bonobos. Gibbon is always called as lesser apes because this animal has a small and slender figure. As I have stated before, gibbon is an arboreal animal. It can move between the trees in the forest. They can balance, swing and deal with obstruction on the trees. Gibbon has a very unique movement when swinging on the trees. The movement is called as biaxial movement. It allows the animals to move in two directions because gibbon has a unique wrist. It is made with a socket joint and a ball. 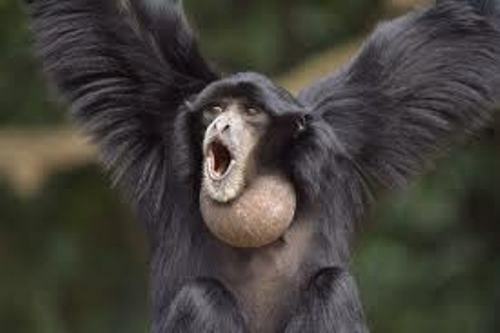 Let’s focus on siamang gibbon facts. This animal has the life span around 35 to 40 years. The weight is around 10 to 14 kg. The length of siamang is around 74 to 100 cm. Gibbon is also well known with its wonderful leaping. In average, all gibbons can make a leap in the height of 26 feet or 8 meters. If you observe the behavior of most apes, they like sleeping in a nest. Gibbons have different behavior for they like sleeping in the branches between the trees. This non flying mammal is considered as the fastest tree dwelling animal. Gibbon cannot swim. Are you wondered with facts about gibbons?